A quarterly magazine for food lovers, GFF celebrates uncompromisingly Good Food (Forever) that’s Gluten-Free (Forever), too, although you’ll never taste the difference. 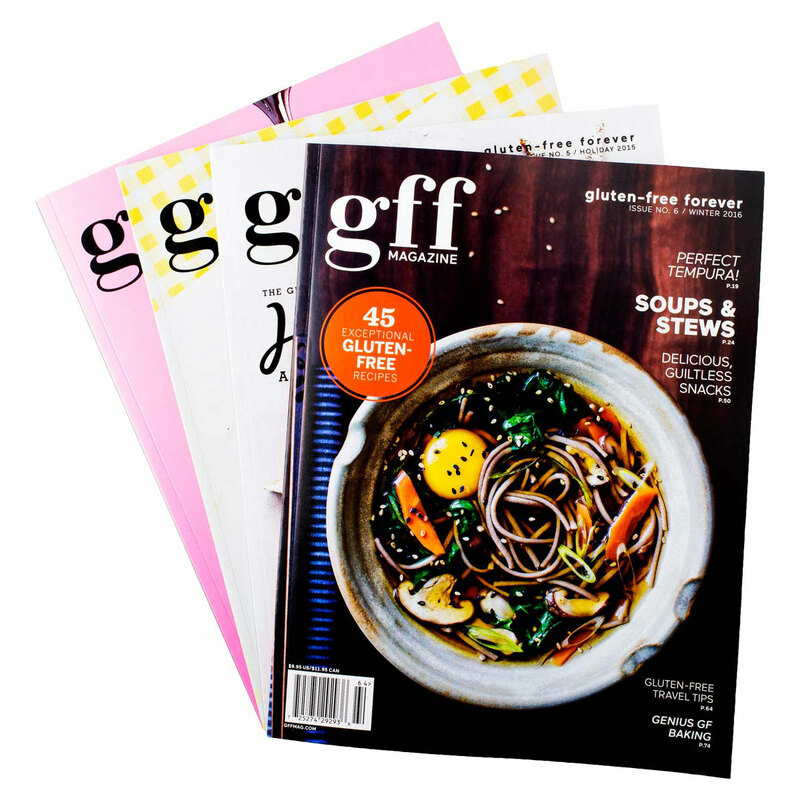 Each photo-driven, collectable issue features more than 45 inspired, doable recipes from top chefs and cookbook authors; tutorials for mastering gluten-free cooking; roundups of GF products worth buying; deliciously indulgent travel; and a whole lot of stunning, drool-inspiring photography. Because, really, life’s too short to eat mediocre food.